When will be Shrink next episode air date? Is Shrink renewed or cancelled? Where to countdown Shrink air dates? 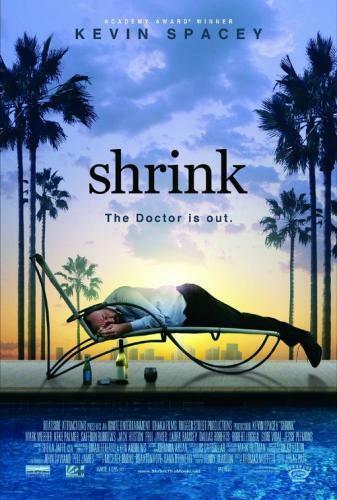 Is Shrink worth watching? Recent med-school graduate David Tracey just lost his residency. With $584,000 of student loan debt and his dream of being a "real doctor" destroyed, he discovers a loophole: If he can perform 1,920 hours of supervised clinical therapy, he'll still be able to help people for a living. Now all he needs is a supervising therapist, and patients willing to come to his office...in his parents' garage. Shrink next episode air date provides TVMaze for you. EpisoDate.com is your TV show guide to Countdown Shrink Episode Air Dates and to stay in touch with Shrink next episode Air Date and your others favorite TV Shows. Add the shows you like to a "Watchlist" and let the site take it from there.